As an English teacher, one of the things I have to confront each year is making literature I adore relevant and interesting to my ambivalent students. 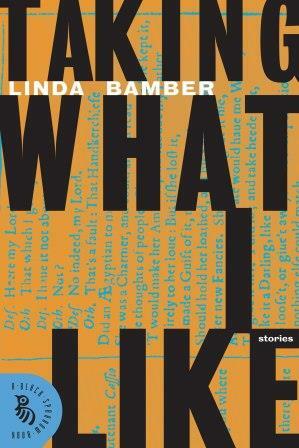 Such is the conundrum faced by the teacher in “Time to Teach Jane Eyre Again,” one of eight stories in this collection by Linda Bamber. Much like the teacher here, I alternately embrace and dread teaching the same texts year after year. In fact, the opening line, “Not Jane Eyre again,” made me chuckle. Sing it, sister. Instead of a treatise on a teacher’s struggles, however, Bamber uses Jane Eyre as a sort of frame around another story, the one of the teacher, her friends, and her romantic partner. You will learn a little about Charlotte Bronte and her novel, and you might even want to read it yourself. Other stories focus on Othello, set within an English department featuring one Blackmember, Cleopatra and Antony, and another favorite of mine, Hamlet. This story, “An Incareration of Hamlets,” is set in prison and focuses on staging the play. Some of the inmates had greater insights into the play than my AP seniors, and I enjoyed discovering elements that I missed myself. It is easy to dismiss this collection as something appealing only to English teachers, but it is more than that. Each story brings its characters to life, and each character has its own voice, much like The Bard and his plethora of tales. Bamber makes you think differently about texts you’ve read, and if you haven’t read them before – I have yet to tackle any of Shakespeare’s Henry plays – you won’t be lost. Prior knowledge of the literature she discusses is not necessary in the least. And now, a brief interview with Linda Bamber. How much of your real-life experience is reflected in this collection of stories? All authors draw on their own experience, but usually they prefer to distance and disguise it. Sometimes I like to tear off the fig leaf of fiction and say, in effect, yes, I’m talking about myself! On the other hand, sometimes I’m not. I like it when I’m always guessing whether something is autobiographical or not, so I hope my readers like it, too. Like Desdemona in “Casting Call” I did chair an English Department, and during that time I did run an affirmative action search. Unlike Desdemona, I didn’t succeed at finding someone “diverse.” I suppose the story is a kind of wish fulfillment. How did you decide which plays and novels to write about? My scholarly book on Shakespeare, Comic Women, Tragic Men, was a discussion of gender and genre, and systematically dealt with the genres Shakespeare used: comedy, tragedy, history and something called “romance” (which has nothing to do with romantic love). When I found myself writing these Shakespeare stories, I decided to go through all four genres as a sort of update or echo of that book. You could call it a private joke. As You Like It is my favorite of Shakespeare’s comedies (along with A Midsummer Night’s Dream) and Richard II is my favorite of the history plays, so I focused on those. Some of your stories are set in academia, and some touch on the teaching profession. What are some particular challenges you face(d) teaching Shakespeare, and how did you overcome them? People can be intimidated by Shakespeare’s immense prestige and antiquity. In my classes I do the same thing as in the stories: I translate his work into contemporary language and demonstrate its relevance to contemporary issues. Then, once everyone’s on board, I invite people to be blown away by the language he actually uses. It’s not a hard job: he’s irresistible! What do you suggest to teachers whose students find Jane Eyre to be dull and uninteresting? I suggest they teach it as a kind of David and Goliath story. Jane is always up against people with more money, power, and sheer size than she has; but she uses her intelligence and integrity to triumph every time. It’s an exciting and inspiring story: small powerless young woman slays huge patriarchal forces; gets what she wants without compromising her amazing standards. What are some of your favorite non-classic novels and plays? Ben Fountain, Billy Lynn’s Long Halftime Walk; W. G. Sebald, The Rings of Saturn; anything by Alice Munro or Grace Paley; and recently I read and liked Jennifer Egan’s A Visit from the Goon Squad.